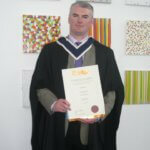 …with a BSc Financial Maths & Economics from NUIG. She passed two of the Chartered Financial Analyst (CFA) exams on the first attempt. She has earned the trust of several finance organisations worldwide: Hayes Culleton is a corporate affiliate of Finance Malta and VectorVest. She regularly contributes to Finance Malta’s newsletter and was a finalist at Enterprise Europe Network Rising Star Awards in 2011. She manages her own portfolio, with an emphasis on Exchange Traded Funds, Value Stocks and Writing Options. …who regularly presents at conferences and keynotes on economics, the stock market, banking, entrepreneurship and finance. 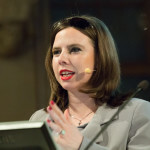 As the Positive Economist, she is a frequent media speaker, regularly interviewed on The Sunday Times (Malta), TV3, RTE, Newstalk and Today FM (Ireland). 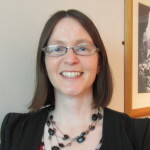 In 2008, Susan wrote a digitised module called “Introducing Wall Street to the Classroom” designed to make the stock market accessible for second level students and their teachers. Susan has extensive knowledge of the retail audience, having mentored private clients one-on-one for years on how to trade in financial markets. 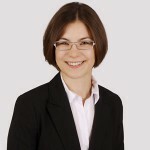 She has a knack for delivering reliable, precise information in clear English, rendering finance concepts in all their subtlety and making them accessible to a lay audience. The world of finance and the pace at which it changes – it doesn’t stand still for a second! The way the news and the economy at large interact with financial markets – markets are an excellent way of taking the economic temperature of the world, and their messages are loud enough for those willing to listen! Making all those insights accessible to as many people as possible, in a clear, jargon-free way. Finding just the right angle to make the subtleties of financial markets interesting to as many people as possible. 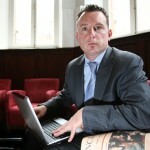 Ardle Culleton – Qualified Financial Advisor (QFA) with the Institute of Bankers, is a Director of HayesCulleton (Financial Training) and Sleepzone Hostels Ardle Culleton Co – Founder of The Positive Economist – Shareholder in GillenMarkets Ardle Culleton, a stock market training company offering independent investment advisory service and manage funds GM Global Balanced Fund. 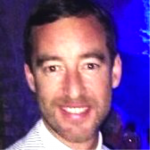 Niall has over 20 years experience in capital markets, investment and trading. He was Financial Planner with Fortis Bank (ABN Amro) and Stockbroker with Prudential Securities in San Diego, California, Institutional Equity and Stock Exchange Floor Dealer with Dolmen Securities (Cantor Fitzgerald) and Senior Portfolio Manager, Bond Fund Manager and Partner with Davy, Ireland’s leading investment bank. Niall has also consulted in the areas of Risk Management in the Hedge Fund industry and in Financial Regulation. Niall now lectures internationally in investment and finance and is Adjunct Fellow of Trinity College Dublin where he lectures International and Corporate Finance on the Executive MBA programme and on the MSc in Accounting and Finance programme in Queens University Belfast. More recently he has succussfully led several funding rounds for Dublin based medical technology companies. He is a Registered Representative of the Irish Stock Exchange (ISE), The Securities and Futures Authority (SFA), Euronext/Deutsche Boerse and The National Association of Securities Dealers (NASD) and is an affiliate of the Chartered Insitute for Securities and Investment (CISI). He is a graduate of The Dublin Institute of Technology, where he studied applied physics, Harvard School of Economics and Griffith College’s postgraduate training and education programme. After several years in academia, Julie was a collaborator at Shi-Zen magazine and Là-Bas magazine before joining the HayesCulleton team. As a writer, translator and voracious reader, her wide-ranging curiosity has allowed her to write about microfinance, foreign aid policies and linguistics. She is the editor and copywriter for The Positive Economist blog, and co-host of The Savvy Women Podcast with Susan HayesCulleton. Maurice joined the HayesCulleton team as Head of Digital Marketing in October 2017. He hails from Enniscrone in Co. Sligo. Maurice brings a fresh outlook and original ideas that we’re excited to see him implement to boost our social media channels. He obtained a Degree in Business Studies in Management Practice from IT Sligo as a Mature Student, after returning from a 10 year career stint in Dublin.